It’s a special time for Five Horizons Health Services: we’ve just completed our first full year operating our clinic under our new identity, and 2019 marks our thirtieth year operating as a community agency in West Alabama. 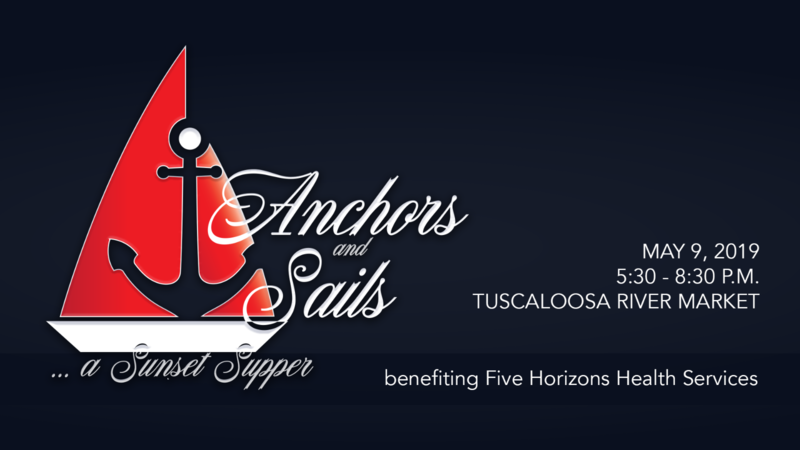 We invite you to join us at Tuscaloosa River Market for Anchors & Sails - this year’s nautical theme for our annual Sunset Supper - as we celebrate our past, present, and future on May 9, 2019, 5:30 - 8:30 p.m.
Our guest speaker is Elyzabeth Wilder, an Alabama native whose personal story recounts seeking purpose in a life directly impacted by the HIV/AIDS epidemic. Visit her blog at www.40lunches.com to learn more about Elyzabeth - we’re so excited to welcome her to Tuscaloosa!